Quite possibly the last really hard-hitting funk album from The Fatback Band – and although their first record on the Event label, a set that cooks every bit as hard as their first few for Perception! The style here is funky 45 soul at its best – lots of hard crackling drums, funky rumpling bass, and enough choppy guitar to level a whole forest in one swoop! Lyrics are part of most numbers, but they're often in the bad-rapping or call and response mode of the People Music album – except for a few sweeter numbers which also sound pretty nice too! 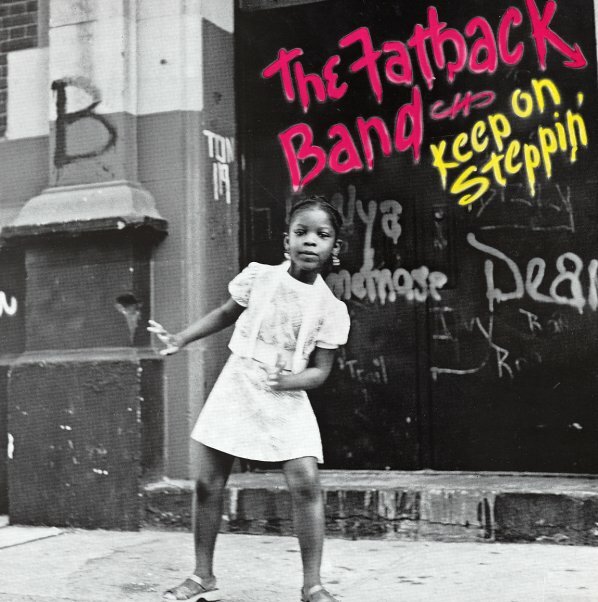 "Keep On Stepping" is a great little funky number – as are "Wicky Wacky", "Mr. Bass Man", and "New York Style". We also love the sweet soul track "Love", which has some great vocals, a great hook, and which sounds like a tune from their Feel My Soul LP! Other tracks include "Can't Stop The Flame", "Feeling", and "Breaking Up With Someone You Love Is Hard To Do". © 1996-2019, Dusty Groove, Inc.